As we move into the latter half of the year, it’s important to take stock of things that might have passed you by. It doesn’t always have to be big things – we’re happy appreciating the little things. We’re talking interesting snack foods worth trying, impressive feats of architecture, handy robot helpers and nostalgic trips down memory lane. If these things in particular sound interesting to you, then you might like to check out this month’s vibe-worthy happenings. One of the major pitfalls for budding plant parents is remembering to give their leafy children the right amount of TLC. Sure, you might be on top of watering, but is your plant getting enough sun? If not, don’t worry – a new invention could take that responsibility off your hands. A company called Vincross has invented a succulent-saving hexapod robot that is designed to carry a potted plant on its back, using cutting-edge technology to move toward sunlight when needed, and retreat to the shade when enough vitamin D has been attained. In addition to seeking sun, the six-legged robot is also programmed to do a dance when it needs watering, and can even play with humans when they get up close. No word on if this technology is due for mass production, but after accidentally killing our last office succulent we’re all for a helping hand. When it comes to snack food fusions, nothing is sacred. Although molecular gastronomy has been pushing the boundaries of flavour pairings in haute cuisine, the casual-dining realm is no stranger to adventurous innovation. 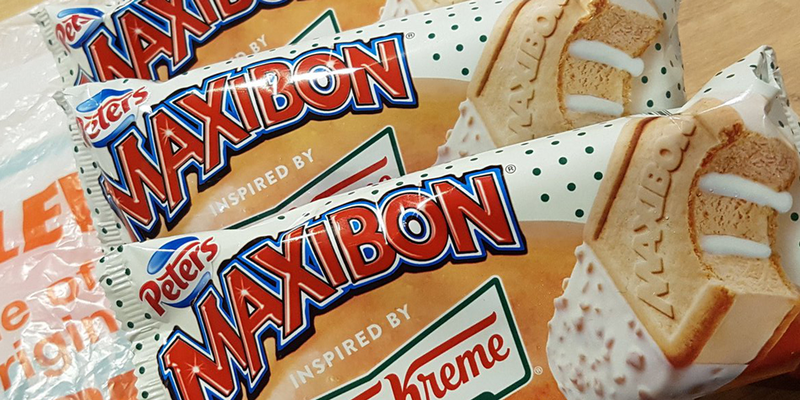 Here at home, ice-cream and doughnut fanatics are losing their collective minds over the arrival of the Krispy Kreme and Maxibon’s new love child. The popular doughnut chain has created a doughnut infused with the creamy goodness of a Maxibon, while Maxibon has also released a mouth-watering ice-cream sandwich flavoured like an original glazed doughnut. Both of these bad boys can be found at 7-11 stores. In other snack news, some out-of-the-box flavour and texture pairings are creating a mixed response around the world, with cheese ice-cream and mayonnaise ice-cream causing a stir in America and Scotland, respectively. Other intriguing snack arrivals include Mexico’s range of rainbow Doritos, Disney California Adventure has unveiled a selection of boozy ice-cream floats, while choc-mint Paddle Pops have returned for a limited time. Just when you thought culinary fusions couldn’t get wackier, a new item comes along that causes our jaw to his the floor all over again. A boundary-pushing pizzeria in Hoboken, New Jersey has crafted a pie that combines Japanese and Italian influences into one interesting combination. Tony Boloney’s Devour Ramen Pizza boasts a ramen noodle dough crust, spicy tomato chilli sauce, Japanese mozzarella and soft eggs. This isn’t the first time the Tony Boloney team has shaken up the formula – these folks are also responsible for the taco pizza and an oversized pizza bagel. The earliest explorers took gambles when mapping the world – can the same be said for these gastronomic mavericks? It’s not uncommon for us to go chasing waterfalls on our weekends off – we are lucky enough to have some breathtaking natural falls just a short drive from home. There’s hope for waterfall-deprived denizens the world over, as nature and architecture have combined for a newly built skyscraper in China. 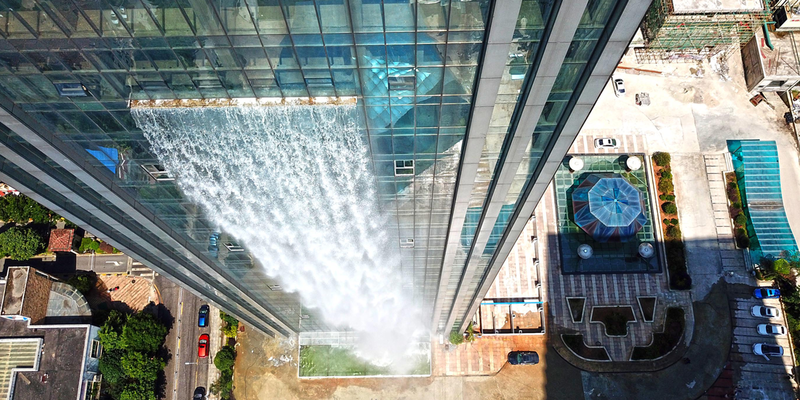 The Leibian International Building has been constructed to incorporate a man-made waterfall – and we’re not talking a mere lobby water feature – this torrent boasts an impressive 108-metre cascade. As cool as it is, the water feature has only been turned on six times. The owners are citing high costs of pumping as a prohibitive factor, despite using runoff and rainwater collected in underground tanks. Regardless, having a few more (sustainable and environmentally friendly) water features sprucing up our concrete jungles would be fine by us. If the names Kiko, JubJub, Flotsam, Techo and Kougra are familiar to you, then this next bit of info is of pertinent interest to you. Anyone that grew up on the Internet in the late 1990s will have encountered Neopets. The kid-friendly online hub allowed users to own virtual pets, feeding and caring for them while also earning virtual currency (or ‘Neopoints’) by playing games and winning battles with other players. Almost 20 years on and the site will soon take on new life on the contemporary digital frontier with its own mobile application. 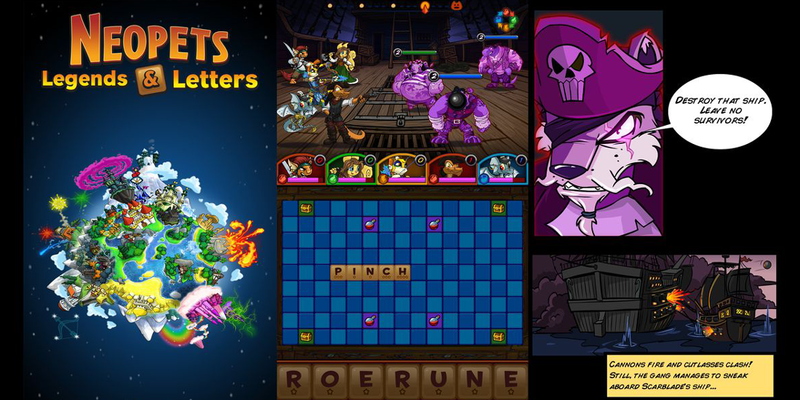 The app, named Neopets Legends & Letters is described as a combination of ‘Neopets lore, puzzle game mechanics and battle’. If you’re seeking more nostalgia, there is also word that another upcoming application will give users the chance to play all the popular mini games from the Neopets site on their mobile device.